Gregorio Corrochano, the bullfighter critic of the influential newspaper, A. B. C., in Madrid, said of him, “Es de Ronda y se llama Cayetano.” He is from Ronda, the cradle of bullfighting, and they call him Cayetano, a great bullfighter’s name; the first name of Cayetano Sanz, the greatest old-time stylist. The phrase went all over Spain. In this year’s Feria de San Miguel in Seville I watched the new hero of that city return to the sand to confirm yet again his supremacy in a mano a mano with another very skilled young matador named Alejandro Talavante. 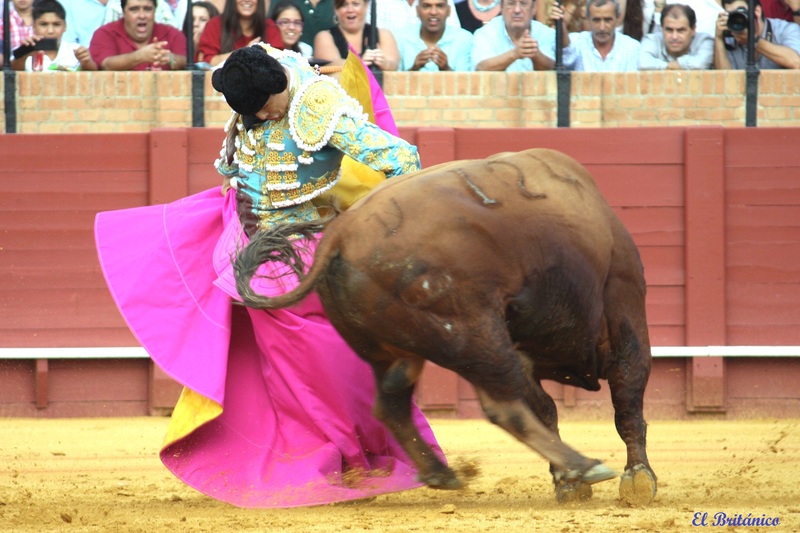 From here on in, I shall refer to what we English call a ‘bullfight’ as a corrida de toros (literally ‘coursing of bulls’) or just a corrida, and bullfighters as toreros (lit. ‘those who deal with bulls’). All activities involving bulls in Spain come under the blanket term fiesta de los toros, aka the fiesta brava or fiesta nacional or just the Fiesta, the activity of bullfighting is called tauromaquia – we have the old word tauromachy in English – and the art, technique and style of bullfighthing is called toreo.